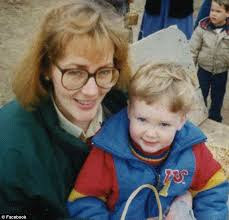 LINDA WIEGAND, VICTIM OR PERPETRATOR, SET THE STAGE FOR CUSTODY SWITCHING SCHEMES THAT NOW STRIP MOTHERS OF ALL PARENTAL RIGHTS IN FAMILY COURTS THROUGHOUT THE STATE OF CONNECTICUT! ELIZABETH A. RICHTER'S FEDERAL ADA COMPLAINT CONTINUES ON TO APPEAL AT THE SECOND CIRCUIT COURT! In the Fall of 2012, Elizabeth A. Richter filed a Federal ADA Complaint with the Connecticut District Court stating that she had been repeatedly denied accommodations for her disability and faced disability based discrimination during her divorce case which took place in Hartford Superior Court and the State's Appellate Court from 2006 until 2012. Ms. Richter's Federal Complaint was dismissed in March 2014 and has now been appealed to the Second Circuit Court in New York City. Elizabeth Richter's original Federal Complaint was filed against the following Defendants: The Connecticut Judicial Branch, an attorney firm O'Connell, Attmore & Morris, LLC, and also an individual judge, Herbert Barall, the same judge who presided over the Linda Wiegand case. Ms. Richter brought the action in Federal Court to obtain redress for these Defendants' violations of Title II and Title III of the Americans with Disabilities Act of 1990 and as Amended in 2008. The Americans With Disabilities Act is a civil rights law which is intended to enfranchise the many millions of Americans who have disabilities throughout the United States. Further, Ms. Richter also brought the action based upon Section 504 of the Rehabilitation Act of 1973, an early version of the ADA, and also based upon the due process clause of the 14th Amendment to the United States constitution. As a result of the violations of due process and her right of access to state court legal proceedings, the Plaintiff, Elizabeth A. Richter requested that the Federal District court provide her with declaratory relief, injunctive relief, and attorney's fees. She also requested the reversal of her state court judgments as well as monetary compensation for the intentional infliction of emotional distress which she endured as a result of the Defendants' actions. Despite the fact that this hospitalization was mistake, throughout her divorce the opposing side in the case repeatedly brought the subject up as the basis for denying Elizabeth Richter custody. The opposing attorney in her case also repeatedly attempted to have Ms. Richter declared incompetent and to have a Guardian Ad Litem appointed to make decisions on behalf of Ms. Richter. Elizabeth Richter also brought up the fact that she experiences so much discrimination and stigma as a result of that incident that, over the years, she has had to have counseling for the stress and anxiety it has caused her. Despite this extensive history which qualified the Plaintiff for protections under Title II of the ADA, the Superior Court at Hartford where Ms. Richter's case was adjudicated, refused to acknowledge that she was a qualified individual under the ADA and refused to provide her with any reasonable modifications during the entire six years that her case was going through the Court. Elizabeth Richter also pointed out in her Complaint that the Connecticut Judicial Branch subjected her to a systemic pattern of discrimination and the denial of her ADA rights such that she was unable to obtain testamentary and participatory access to justice throughout her divorce. Most particularly, the Connecticut Judicial Branch hid documents Elizabeth Richter had provided to the Court which showed evidence of her disability and explained what accommodations were necessary for her. Furthermore, Ms. Richter reported that she experienced discrimination from her own attorneys who failed to provide her with adequate representation and made statements regarding her which were intended to incite a bigoted response from the Court. In particular, her attorney, Attorney James T. Flaherty, who was named in the lawsuit, failed to inform her of her rights under Title III of the ADA, failed to provide her with reasonable accommodations so that she could access the attorney firm's legal services, and also discriminated against her based upon her disability, and also based upon the firm's false perceptions of the disability they thought she had. The attorney firm also refused to protect her from discrimination based upon the false perceptions that arose from the misdiagnosis she received over 30 years ago. During her post-judgment matters in her divorce, Elizabeth Richter complained that Judge Herbert Barall refused to provide her with reasonable accommodations, discriminated against her based upon the perception of disability, and interfered with her ADA advocate when he tried to do his job. She also complained that Judge Barall used derogatory language while referring to her two children who have a disability and refused to acknowledge that they are legally blind although this fact was well documented and he was fully informed of their disability. In addition, in her Complaint, Elizabeth Richter brought to the attention of the Federal Court the fact that the Connecticut Judicial Branch does not have a publically identified ADA Coordinator as required by ADA law according to II-8.5000 of the Title II Technical Assistance manual. Further, it has provided confusing and misleading responses when asked to identify one. Also, the Judicial Branch does not have a meaningful grievance procedure. Finally, Elizabeth Richter complained that the Connecticut Judicial Branch has been restricting ADA law to Title I of the ADA, instead of Title II as required by federal law, in an attempt to avoid providing the broader based and more encompassing modifications it is required to provide under Title II. It is also important to note that since Ms. Richter filed her lawsuit in federal court, the Connecticut Judicial Branch has subjected her to interference and harassment in her role as an ADA Advocate in support of litigants with disabilities. This is also a violation of ADA law. Ms. Richter's initial filing of her complaint was in November 2012 and then she Amended her complaint in April 2013. Despite that, the decision of the Federal Court dismissing her case was issued a full year later at the end of March 2014. Apparently, according to Ms. Richter, this is quite typical of legal proceedings. As she stated, "The Courts regularly drag out proceedings and delay responding to motions until the very last day because they hope that by doing so litigants will become discouraged and give up. That way the Court can avoid taking proper action and avoid bearing the consequences for a wrong decision." And in this particular case, the decision really was wrong. As Ms. Richter explains it, "What the federal court basically did was declare that I do not have a disability which is just totally ridiculous. I have been a person with a disability, and have a record of receiving treatment for anxiety over a period of many years, particularly since my misdiagnosis and wrongful hospitalization which ended in 1980. Furthermore, during the divorce I was diagnosed with acute stress disorder as a result of the legal proceedings as well as legal abuse syndrome. There is no way that I did not have a disability prior to the legal proceedings as well as during those proceedings. And I am continuing to take a pounding as I pursue my legal rights in Federal Court." Ms. Richter continued on to say, "Even if you grant what the Federal Court said that I currently don't have a disability, that isn't even relevant. Under ADA law it is recognized that a misdiagnosis such as the one I had many years ago still qualifies you as having a disability." Nonetheless, the federal court decision of March 2014 denies that this is so. Not only that, there is more to why the Federal Court made a completely misguided decision in Ms. Richter's case. Apparently, to be protected by the ADA, one must have a disability, defined by the ADA as a physical or mental impairment that substantially limits one or more major life activities. Otherwise, a person must have a history or record of such an impairment, or be a person who is perceived by others as having such an impairment. "What the Court did," stated Elizabeth Richter, "was argue that I only had temporary anxiety and it ignored my statement that I'd basically had a 30 year history of anxiety on and off. It twisted my words around and deliberately misinterpreted them." Also, the Federal Court essentially argued that a temporary disability is not covered under ADA law. This is, in fact, untrue. Many temporary disabilities are covered under ADA law. Not only that, according to Elizabeth Richter, "The Federal Court simply refused to discuss the second and third categories under which I could have been held to be eligible for ADA protection, i.e. the fact that I had a record of a disability from my earlier psychiatric hospitalization, let alone my subsequent treatment for anxiety, and also my complaint that I was perceived as having a disability I did not have." "What this really amounts to," stated Ms. Richter, "is the Judicial Nullification of Federal ADA law on the highest level." This is particularly outrageous granting the passage of the ADA Amendments Act of 2008. Essentially, Congress enacted the ADAAA of 2008 because it wanted to stop the mini-trials on whether a person had a disability or not and instead wanted to force attention on the merits of the case. This means that the Federal Court's extensive focus on whether Elizabeth A. Richter did or did not have an eligible disability was completely in violation of the law. Furthermore, according to Chai R. Goldblum, a national expert on ADA policy, since the passage of the ADAAA in 2008, "The primary object of attention in cases brought under the ADA should be whether covered entities have complied with their obligations and whether discrimination has occurred, not on whether the individual meets the definition of disability." In its decision in Ms. Richter's case, the Federal Court simply refused to address the fact that The Connecticut Judicial Branch failed to provide her with reasonable accommodations and it failed to consider any of her other complaints. The Federal Court decision solely focused on whether Ms. Richter had a disability or not, in direct opposition to the spirit of the ADAAA. What is even more ridiculous about the Federal District Court's decision in this case is that finally, after years of stonewalling, on December 7, 2012 a Judge of the State of Connecticut confirmed the fact that Elizabeth Richter has a disability that entitles her to the protections of Federal ADA law. As Ms. Richter stated, "Given the fact that a State Court judge has already confirmed that [I have] a disability based upon the same information that District Court has before it, how can the District Court then contradict that decision?" This is not the first time that the Connecticut District Court has ruled that an individual everyone knows has a disability does not have a disability. For instance, in a recent decision in Andrew Adams v. Fun Festival Parks (Lake Compounce), the Court ruled that Mr. Adams was not disabled despite the fact that he'd been developmentally disabled since birth and in special programs throughout his public school education. In making its determination the Connecticut District Court cited exclusively pre-ADAAA of 2008 case law to justify its decision. This is exactly the same thing it did in the Richter case. Even more troubling is the remark Elizabeth Richter made about the decision in her case in Connecticut District Court when it came out. She stated, "I am not even sure that a Judge wrote this decision. It shows such a profound lack of insight into Federal ADA law, it doesn't seem possible that a Judge wrote it. My guess is that the Judge had her clerk write it and then just signed off on it with just a cursory glance. That is a pretty outrageous way for our Federal Courts to be operating. Of course, I have no proof, but that is the way the decision looks and reads." In ruling as it did in complete violation of Federal ADA law in these two cases, the Connecticut District Court has essentially signaled to CT State Government and its Agencies as well as to businesses throughout Connecticut that they are free to violate Federal ADA law. People with disabilities better watch out, because it is open season on eliminating their human rights, their civil rights, and their constitutional rights. Still, Elizabeth Richter has not allowed her complaint to end there. She has continued on with an appeal to the Second Circuit Court where she just submitted her final brief. We will eagerly await the results of that appeal.